For a long time now, it seems that everywhere you look, there’s a distinct shift towards slowing down and living a more minimalist lifestyle. People are choosing to cut down on their possessions, clearing out their wardrobes in favour of a smaller selection of clothing and choosing a ‘less is more’ outlook when decorating their homes. 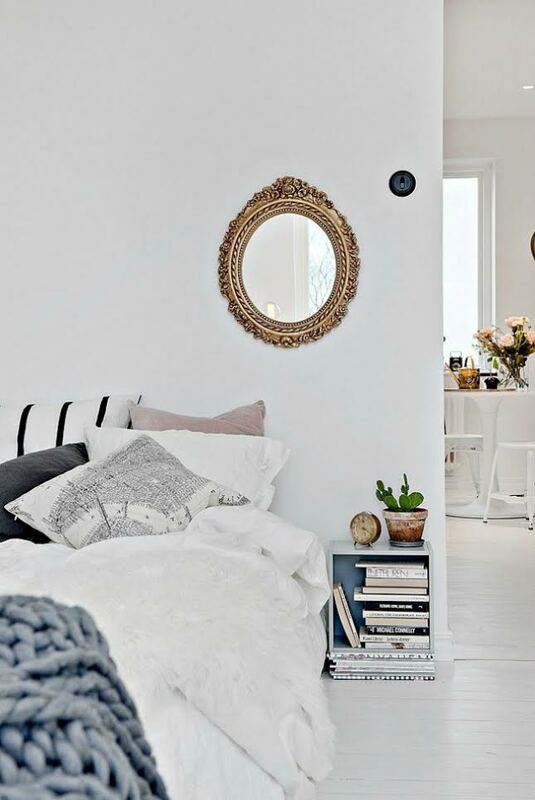 If you often find yourself pining over photos of beautiful all white interiors, but don’t know if you’re ready to fully commit to the minimalist way of life, then this guide with easy tips on how to add a clean aesthetic to your bedroom is for you. If you’re looking to simplify your bedroom, then the colour of your walls is a good place to start. A great way to add the illusion of space to a room is by painting walls in soft neutral shades such as white or grey. 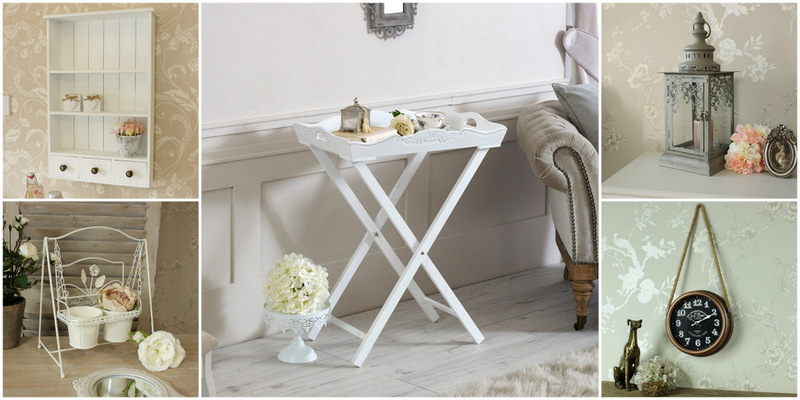 Think of this as creating a blank space for your room, giving you the option to decorate with smaller details and accessories. If you can’t live without some brighter pops of colour however, consider creating a feature wall in your favourite shade, or with a stylish patterned wallpaper. 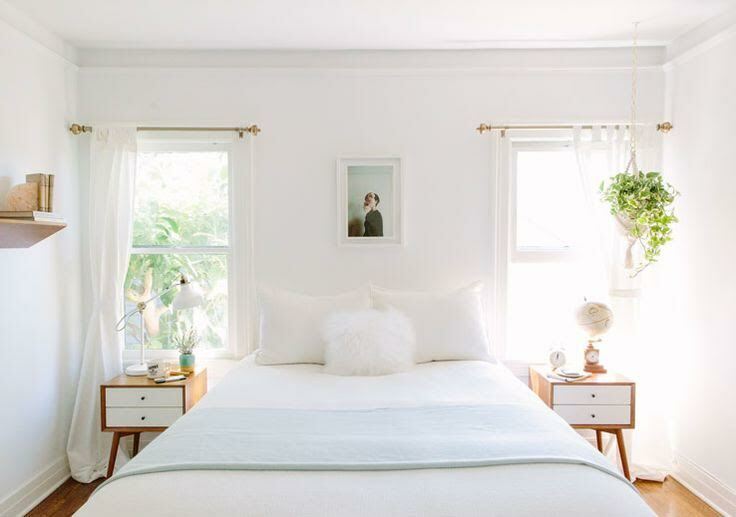 Bringing plants into the home is one of the best ways to add some minimal magic to your bedroom, and with the added benefit of improving the air quality, there’s really no reason not to. An arrangement of small plants in beautiful ceramic pots can spruce up your bedside table, or if you’re feeling extra green, decorate an area of the room with botanicals in a range of shapes and sizes. If you’re desperate to try out a minimalist way of life but can’t let go of your love of all things glam, think about adding a luxurious element to your bedroom with some crystal ceiling lights. These lights come in lots of styles with some understated designs that would look great paired with some simple aesthetics. 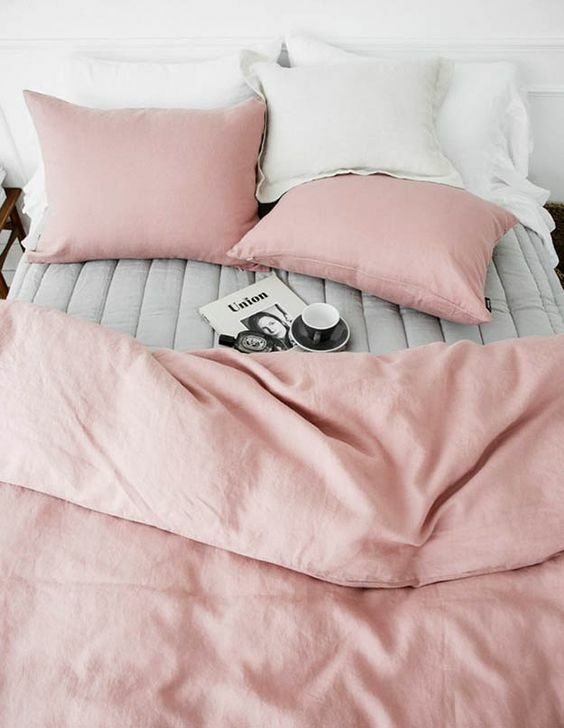 The idea behind the minimalism phenomenon is ultimately living with less, which is why the number one rule in creating a minimalist bedroom is to get rid of any unnecessary clutter. Get rid of any bits and bobs that have no purpose in your bedroom, or invest in some stylish storage options (no garish patterns of course!) to keep your space tidy. Another key element of the clean interiors look is rooms that are filled with lots of natural light. In cities like Copenhagen, it’s the norm to have large windows in every room without curtains or blinds, and if there’s anything the scandinavian’s have shown us, it’s that they know how to do minimalism. Try this out in your own home and see what a difference it can make to your bedroom, or if you want a bit more privacy, find some sheer curtains to let the daylight through and maintain the soft illusion of the room. Will you be following these tips? 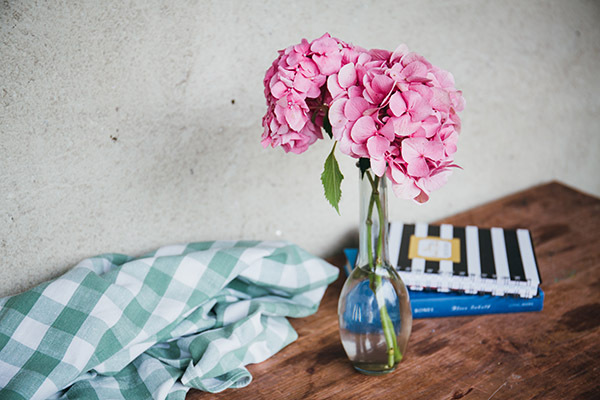 Do you have any tips when it comes to spring cleaning, organising and living a minimalist lifestyle? I am a bit of a skincare hoarder, it doesn't help that I have dry and sensitive skin which means that I am always looking for new products to help alleviate dryness and that are gentle enough for my sensitive eczema prone skin. Thankfully my eczema is currently almost non-existent which means I can try new skincare which for a skincare nerd like me is very exciting! Philosophy has been one of those brands that has been on my list of brands to try for so long but the only product I've bought were their mini shower gels that they bring out for christmas. I've wanted to try more products from them since and I was lucky enough to be sent four of their beautifully designed skincare products. This is the product that I've heard the most about, even back in the early days of blogging (almost five years ago now!) I was always hearing so many amazing things about Philosophy skincare - everyone loved it! The cleanser is gigantic but it does come in a range of sizes so you don't have to buy a massive bottle. It is formulated for all skin types, it works as an eye makeup remover, cleanser and toner all in one as well as claiming to deep clean pores and hydrate as it melts away makeup, those are some impressive claims! Now, onto my one negative about this product and that is the scent, to me it smells like a liquid medicine I had a couple of times as a child which I hated so that wasn't a good start when I first used this product; however it's all positive from here. The cleanser is has the consistency of a thick, creamy lotion, it feels so gentle on the skin and I did use it over my eyes even though I do have sensitive skin around my eyes and it didn't irritate (although I think if I had a full on eczema flareup going on then it might have). It claims to be an eye makeup remover so I tested on my waterproof mascara, which is very difficult to remove and it usually takes about five cotton pads to remove it and even then there will be some mascara on my lashes that refuses to budge. So you'll imagine my surprise that when I gently massaged the cleanser over closed eyes, my mascara was complete removed from my lashes! I've never used a cleanser, eye makeup remover or micellar water that can remove my stubborn waterproof mascara as effectively and as quickly as this one does! I find that it removes my makeup so well, even long wearing products and it leaves my skin so squeaky clean, smooth and ready for my serum. I'm genuinely so impressed by this cleanser, it's a phenomenal makeup remover; however if you do get it in your eyes, oh boy! Overall rating: ★★★★★, 5/5. If there's one thing that my skin needs all of the time, that is moisture, my skin is so dry all of the time and it needs all of the help it can get so moisturising products are always on my list of skincare to try. This moisturiser is one that I have heard a lot about, it is beautifully packaged and presented which is one of the superficial things about the product but to be honest, I always look out for pretty packaging. The moisturiser is perfect for the spring and upcoming summer months as it's moisturising but it absorbs quickly and feels so lightweight on the skin which is exactly what I need at this time of the year. The moisturiser leaves my skin feeling incredibly smooth, soft and as moisturised as it needs to be. Also it contains SPF25 which is great as we are getting some sun in England, well when I say 'some sun' I mean about two days of sun, let's not get carried away. As with the cleanser, I think that if I had a bad eczema flareup, I think these products might not be fully suitable but in the meantime I'm loving them. Overall rating: ★★★★☆, 4/5. I have tried so many inexpensive eye creams and samples of higher end creams but I never find them that impressive, worth the money or to be honest any different to using my regular face cream around my eyes but this one is actually really nice! It contains a blend of peptides, barley leaf extracts and active caffeine. The eye cream is lightweight on the skin but moisturising enough for me and my annoyingly dry skin so it creates a fantastic canvas for my concealer and foundation which is something I always struggle with as concealers tend to look dry on my skin but this eye cream has been helping. The only thing I'd change would be to add a metal rollerball applicator to the tube as it would make the cream even more refreshing. Overall rating: ★★★★☆, 4/5. One thing I really like about Philosophy skincare is that they have smaller sizes of so many products which is amazing for people like me who don't want to pay for the full price in case the product irritates the skin. This moisturiser is aimed for individuals who are older than I am, although I'm turning 25 this year so in my mind, I'm ready for my pensioner bus pass. I haven't used this cream as much as the other products but the packaging is fantastic and the cream feels so refreshing and smoothing on the skin which is probably down to the almost gel like consistency of the moisturiser. I've only used it a couple of times but it does leave my skin very smooth and well moisturised. Overall rating: ★★★★☆, 4/5. Overall, for my first experience of Philosophy skincare, I'm impressed with the quality, packaging and products in general. I especially love the cleanser as I've never had a cleanser remove my makeup, including very stubborn waterproof mascara, as easily, quickly or as effectively as this cleanser removes my makeup. I'd definitely recommend these products if you have normal or dry skin but if you have very, very sensitive skin then it might not be for you; however I'm loving the products so far! What do you think of these products? Have you tried anything from Philosophy? If you have been reading my blog even just for a few months then you'll know that I adore pampering, especially if beautiful products and lavender are involved so when these incredibly lovely products from Bloomtown Botanicals arrived, I was very excited to give them a go. Bloomtown Botanicals is a wonderfully natural and ethical brand that creates beautiful pampering products from soaps, scrubs, bath salts and oils to gifts, skincare and candles. All of the products are made in Cornwall, they are free from any parabens, sulphates, fragrance, colours or animal products and they contain lovely natural ingredients such as Vitamin E, sweet almond oil, chamomile, mango butter and coconut extract. I was lucky enough to be able to choose a couple of products from Boomtown Botanicals to try out and obviously I chose a range that contains lavender because I'm clearly obsessed with lavender anything! The packaging for all three products I received is stunningly beautiful, minimal and perfect to give as a gift...or to treat yourself! The bath soak contains lavender, rose geranium and chamomile as well as mineral rich Himalayan salt. Since receiving this product, I have been taking it out of my 'products to review' drawer and just leaving it open on my desk so I can smell it constantly as it has such a calming, relaxing scent that I want around me all of the time. It has a sweet, floral and earthy scent that instantly makes me feel calmer and more content. I haven't used bath salts for years, I'm more used to exciting, glittery bath bombs! To use, you just sprinkle however much you want in your bath and swirl the water to dissolve the salt. There isn't the excitement that you get with bath bombs but the bath salts smell lovely although I wish the scent was much stronger as I love it so much! I noticed a little square of adorable soap in my package which is perfect for me as I have eczema on my hands and most liquid soaps can irritate my skin but this one doesn't! I definitely prefer to use natural soaps, especially when they work well and smell as subtly glorious as this one does! If you have dry, sensitive hands *that sounds weird, but you know what I mean! * then you definitely need to check out this soap. Again, another product that smells divine - this range is just perfect for me! When it comes to body exfoliators, I adore sugar scrubs (the solid sugar scrubs from Lush are fantastic) and I knew I'd love this one too. It contains fine British sugar to gently exfoliate as well as lavender, rose geranium and chamomile - all of the good ingredients. Most of the sugar scrubs I've already tried have been in a solid form or at least very dry but this one is quite a wet grainy mixture that is very thick. I love this body scrub, it's everything that I look for as it's natural, the packaging is gorgeous, it smells lovely and it's very exfoliating without being too harsh - yes, yes, yes! I couldn't recommend these products enough; overall rating: ★★★★★, 5/5. What do you think of these products? What are your favourite relaxing, pampering products? It's National Stationery Week! I have loved stationery since I was a child in the 90's playing with the my spirograph, blow pens...and scented gel pens. Now I'm much more into minimalistic stationery and I use notebooks and to do lists religiously to keep track of the orders/deliveries I have arriving, for blog ideas and what I need to do. The main stationery items I use are pens, notepads and to do lists; I don't know what I'd do if I didn't have list pads everywhere reminding me of the tasks I need to do. I write my to do list every couple of days and it usually includes the blog posts that need to write, what products I need to photograph, household tasks and books reviews I need to write. I'd definitely be lost without them and a new cute list pad or jotter is always needed. I use notebooks constantly to write down blog ideas as I tend to need to write them down everywhere I go *also why I do always think of ideas when I'm trying to sleep?*. I love this set, especially the cute polkadot print and the size of the notebook is perfect for keeping in my bag. I don't tend to use an address book, I think it's a little dated now but it would make a nice set for stationery lovers. I don't use notecards or postcards that much but I definitely need to start as it's always lovely to receive a handwritten note or postcard! I received two lovely sets of notecards along with envelopes; one in a cute wellington boot design and the other has a typewriter design on the front which is definitely my favourite out of the two. As you will know if you scroll through my blog, I've been a bit obsessed with reading last year and this year after not reading much at all since secondary school. While I mainly read e-book from Netgalley, I do have a rather large book collection which means I always need bookmarks. I'm one of those people who will use any scrap of paper as a bookmark but it's nice to have a cute bookmark and this one definitely is! I love the cute print and text that says 'relax with a good book and a nice cup of tea' which I really want to do right now but I have posts to write, photos to edit and the builders are here making so much noise...relaxing isn't on the agenda just yet. Now onto the exciting bit of the post! 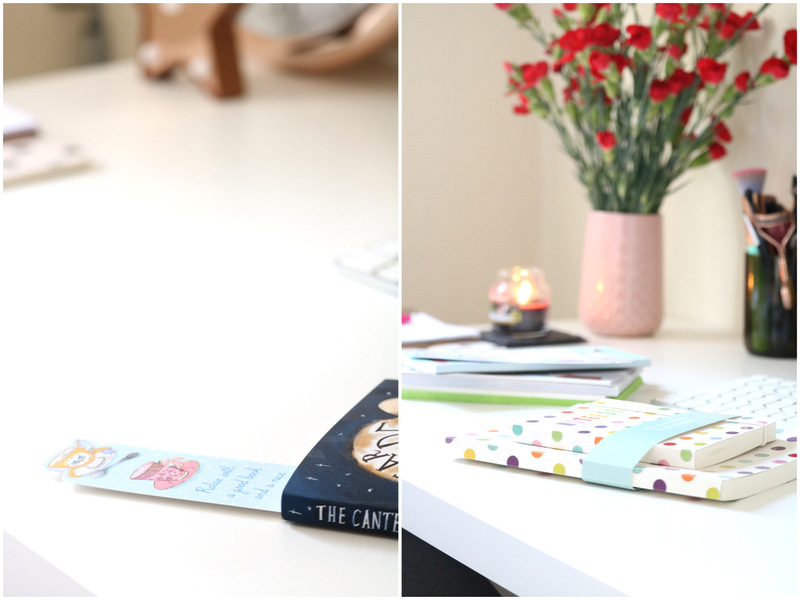 I'm hosting a giveaway with Phoenix Trading where you will be able to win all of the items I've show in this post so you will receive the notebook and address book set, bookmark, notecard sets and the cute sausage dog jotter. All you need to do is look out for my tweet, follow myself (@ofbeautyand) and Phoenix Trading on Twitter and RT the giveaway tweet. It's UK only and the winner will be announced on Monday 1st May! Will you be entering my giveaway? What do you think of this cute stationery? I think we all dream of winning the lottery or if we suddenly just came into lots of money as money may not buy happiness but it sure would solve a lot of problems! I don't take part in the lottery as I'm always asked for my ID so I've just given up now but I used take part in the Euromillions as did my parents for years; there are other lottery options too such as the Irish Lottery and the Powerball. However I'm one of those people that only purchases one ticket and then I'm disappointed that I didn't win...as I'd have already mentally spent my millions. That brings me to the question what would you do/buy if you won the lottery? I'm not talking about the occasional £10 note you win but millions and millions. There are always dream ideas such as travelling around the world (which I'd love to do), buying a mansion or home abroad and maybe buying a supercar but mine are a little more practical (boooooo!). As a blogger, I get an email every week or so about a blogger or press event in London and each email is like a stab to the heart of a northern blogger as train tickets are so expensive and I can't get to London that easily; also the events are usually in a week or so which isn't enough time to plan a trip to the capital. There also seem to be so many more internships and freelance options in London so I'd love to move from rainy Manchester to our beautiful capital city! Don't get me wrong, I love our little Renault Clio, it's the car I first started learning to drive in last year and I love it so much...but I really want a vintage Fiat 500 as they are incredibly adorable but with classic cars, I think it will need not just a fair amount of money to purchase but also if something goes wrong with it. 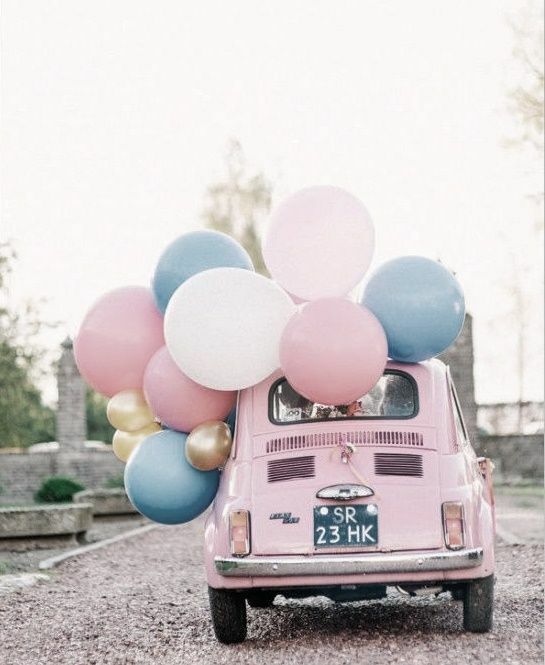 An adorable pink one would be perfect or a mint green Fiat 500. 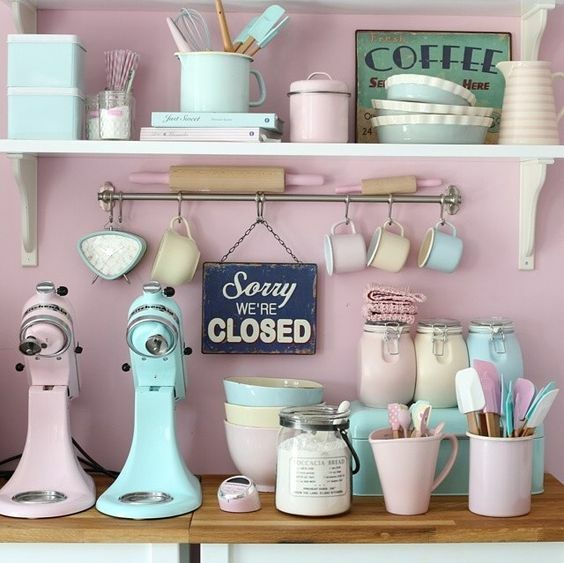 Now, this is a bit more of a dream option rather than being practical - I would love to own my own little vegetarian/vegan bakery or cafe, I think that would be amazing! If that didn't work out then I'd also be more than happy with my own pinterest worthy homeware boutique in London obviously with flowers all over the walls or is that too much of a blogger cliche? Ever since I was a child, I've always been a little bit obsessed with nail polish! I used to get my mum to buy all of the Sabrina The Teenage Witch magazines as they came with free makeup each month and I had the lot! I also used to raid my aunties and mum's makeup stash to play with makeup and look at the pretty nail polish. However, now I'm sticking to a more minimal, paired down makeup and beauty collection, I'm more selective about the products I own and want to use. One of the main points that has helped me slim down my beauty collection as a whole, is to really look at the products, shades and finishes I was actually using and loving and getting rid of the shades and products that I wasn't. For example, I had so many hot pink and blue polishes that I used to love but now, they're not for me and I tend to stick to neutrals, nudes, greys and occasionally glittery shades and pinks. I was very kindly sent two gorgeous shades that are so perfect for my capsule nail polish collection! They are the *Leighton Denny High Performance Nail Colour Polishes (£12, 12ml) which claim an advanced wear time and a glossy finish chip resistant finish, all without those nasty ingredients that are sometimes found in nail polishes such as formaldehyde. First up, the *Leighton Denny High Performance Nail Colour in Zero Gravity which is a gorgeous cool grey shade that would be perfect as an everyday shade. I adore grey nails all year round, to me they just look so chic, polished and gorgeously understated. The swatch of the shades above are all just one thick coat so you can see how pigmented it is although I always use two coats for the maximum pigmentation. The formula is really smooth and easy to apply and although it can look a little patchy when it's applied, it evens out as it dries to give a consistently even finish. Now onto the fun polish, the *Leighton Denny High Performance Nail Colour in Twinkle Twinkle which is such a cute name! I love the look of glitter polishes, growing up they were the only shades I wanted to wear but now, they aren't usually worth the hassle of removal. However, I do like to apply a coat of glitter to an accent nail sometimes and this one is so pretty. The various sizes of glitter combined with the iridescent shine, makes it looks almost galaxy like on the nails. Glitter is never going to be as easy as regular nail polish to apply but it looks so damn pretty! Although, having a browse on the Leighton Denny website, I've noticed that they make an easy peel base coat than can be used with glitter so I'll have to look into it as that would solve my glitter polish problems! Overall, both shades are just perfect for my capsule nail polish collection and I know I'll get so much use out of them, especially the Zero Gravity shade. The formula is smooth and easy to apply, it dries fairly quickly and while the longevity isn't incredible, it lasts for about four days on me (with a base and top coat) before it starts to chipping. Overall rating: ★★★★★, 5/5. What do you think of these shades? Have you tried any Leighton Denny polishes? I have always said that autumn is my favourite season and up until last week, it was...then spring happened. After the gloriousness of autumn and the dull drudgery of winter, it's easy to forget how incredibly lovely, uplifting and content spring is. The lighter evenings mean I'm not rushing for light while taking photos, I love all of the birds singing and I've been spending a little more time outside, only a little as it is still chilly in Manchester - blue skies and sunshine don't mean warm weather, not in Manchester. 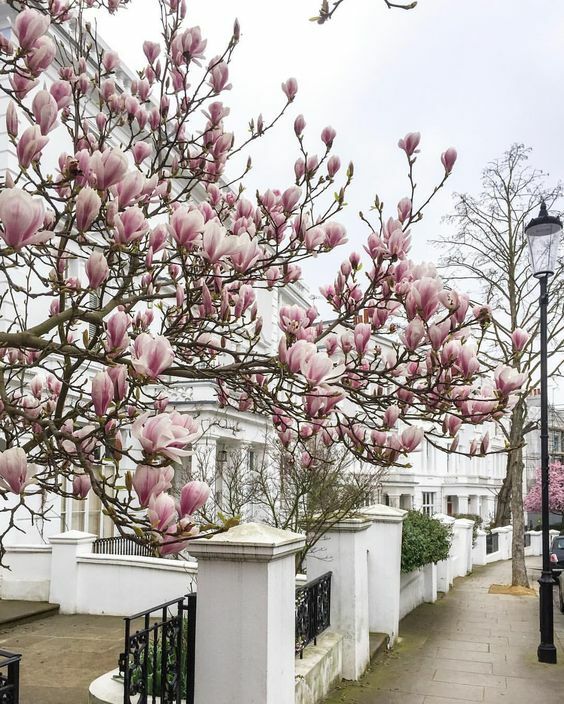 One of the main things about spring that I adore are all of the flowers in bloom in the garden, on the streets and on instagram (wisteria envy is a thing right now). I do love spending time in the garden, I love watching the progress of flowers and plants grow and as we have a section of woods behind our house, there are always birds singing and the squirrels running around. However, as I quickly discovered as a child, sitting on the grass or garden furniture means that you will encounter so many bugs, including spiders which then result in me running away and vowing never to sit down outside ever again. Although I do love spending time in the garden, especially since the mint green summer house was built last year and it's got me looking at garden furniture and spring decor. 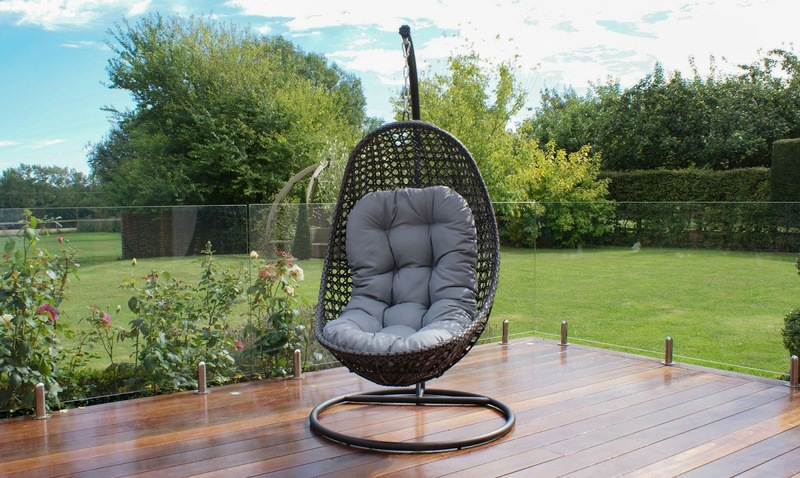 Fishpools garden furniture is gorgeous, especially this Trinidad Hanging Chair which I could definitely see myself sitting in while reading; there are so many furniture options, including some luxe dining sets, although to be honest they wouldn't be used as much in Manchester because we very rarely see the sun! I'm also thinking about garden lights, there are so many options for garden lights but as I'm a blogger, it's all about the fairylights so I think a string or two of fairylights around the summer house (which you see from time to time on my Instagram) would look so nice in the spring evenings. 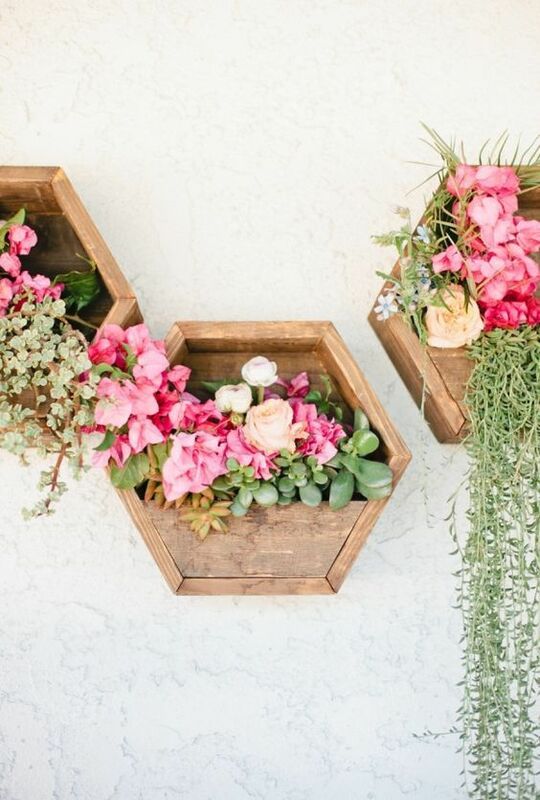 As well as the gorgeous hanging chair from Fishpools, I'd love to add some wall planters filled with succulents! I love succulents, I have three in a planter in my office but that's definitely not enough (there's no such thing as too many succulents). Succulents are so incredibly easy to look after even for someone like me who has a tendency to kill plants and I think they would look amazing in a planter - maybe a mint green wooden planter to match the summer house! What do you think of the Fishpools garden furniture? Do you have any plant/gardening plans this spring? 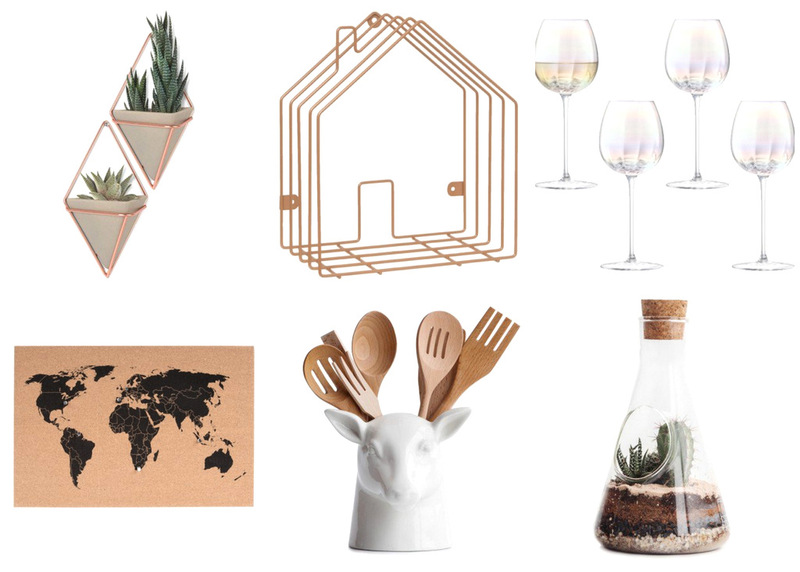 Are you a succulent/cacti fan? I adore candles, they are some of the products that I will buy all year round and they make any room feel so much more homely, inviting and cosy however when the warmer months come around, I tend to look for fresher scents and this one is perfection! I was very kindly sent it by the lovely people at All Home Everything. "Take a deep breath of this diverse skyline and put your foot to the pavement. Crisp watery notes of stone and cucumber in harmony with the subtle aromas of moss and basil. Feel the gust of freshness right off the lake"
It's oh so perfect for spring and the april showers we have had recently, well all of the time, in Manchester! The scent is incredibly beautiful, fresh, calming and unlike all of the other candles I have in my collection, although it does smell a little similar to one from L'Occitane I had years ago and a more recent addition from The Nomad Society x Osmology but I find this one to be much stronger and cleaner. I have been keeping the candle between my arms as I type so I can smell it constantly, it's that gorgeous and relaxing which is what I need as I'm typing this because the builders in our kitchen are making so much noise and it's stressing me out! The candle is so beautiful both in terms of the packaging and the scent; also it is hand poured in Charleston, South Carolina which makes it seem special to me for some reason. I've been burning it sparingly since I received it as I don't want to use it up too quickly! The candle takes about 20 minutes for it to me detected in the room but when it does, it's so gorgeous, uplifting and refreshing! I mainly burn this candle in the office so I can smell it during the day, when it's lit and when it isn't lit; it definitely helps with my productive moments *cough hours cough* as it makes me feel (as corny as this sounds) but energised, refreshed and calm. Unlike some candles I've tried recently, the scent throw and strength is fantastic - it makes the top floor of the house smell like a rainy spring day. The candle also came with some stunning mini postcard prints of the city of New York and London which is such a nice addition, they also have large full size print that can be purchased from their website too! All of the city prints are so beautiful and I think, along with the candles, they would make such a lovely and unique gift. Overall, I'm so impressed with the candle, not just because the scent is so gloriously perfect but also because the packaging is the most stunning I've ever seen on a candle. I also love the prints! I cannot recommend this brand enough and I definitely need to purchase another one of these 'Chicago' candles when this one has run out. Check out their social media - twitter - instagram. Overall rating: ★★★★★, 5/5. Additionally, I don't have a lot of space to keep putting up Ikea bookcases so in comes RedCandy to the rescue *cue all of the superhero music*. I was able to choose an item from their website and obviously I chose something book related; I picked the *Umbra Conceal Bookshelf - Set of 3 (£29). I have wanted invisible/concealed bookshelves since last year as I've been running out of space for a while and these shelves seemed like a easy, beautiful and space saving storage option for my excess books. I have the set of three but you can get them individually and I couldn't be happier with them! They come with the parts you need to put them up, unless you have weird walls as I do. Even so the shelves were so quick to put up, they feel sturdy on the wall and even though there is a weight limit to the shelves, I can still pile on the books and they're fine. I have been keeping my TBR and my most recently purchased books on my new and gorgeous floating bookshelves...yes, there are quite a lot, I have a problem. I love how they look on my wall in my office, it looks so unique and unusual; also it means that I have a space to put all of my vases, lights and candles (unlit, obviously). I could be happier with my bookshelves and I will be recommending them to everyone - I think they are fantastic for the price and I definitely want some more, maybe to put in my bedroom. That's one thing I love about these, how versatile they are as they can be put up almost everywhere even on the tiniest wall space. Now onto my mini book haul which consists of books that I have been picking up over the past two to three months from Amazon, The World of Books and Book Depository. Let's start with Amazon, I bought Slade House by David Mitchell, We Have Always Lived In The Castle by Shirley Jackson and The Daylight Gate by Jeanette Winterson all of which were part of the trap that is the Amazon 3 for £10 paperbacks offer *damn you Amazon*. I bought an old copy of Shadow Show which is a collection of stories by so many authors in memory of Ray Bradbury from World of Books; sticking with the Ray Bradbury theme, I bought The October Country from him as since I read The Halloween Tree, I now want to read everything from Ray Bradbury. From Book Depository I picked up Good Night Stories For Rebel Girls which is a stunning book. 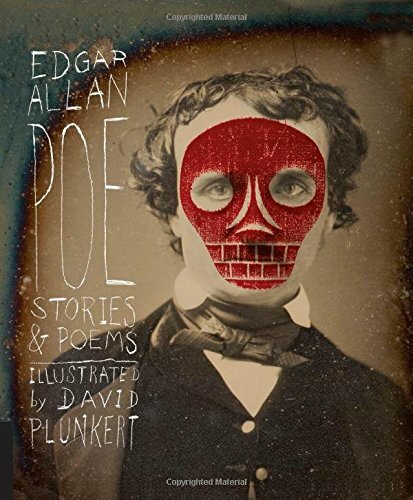 Lastly, for my book haul, I bought a few non-fiction books from The Works; I am always looking on their website as they have so many incredibly cheap books and along with Amazon, it's one of my weaknesses. 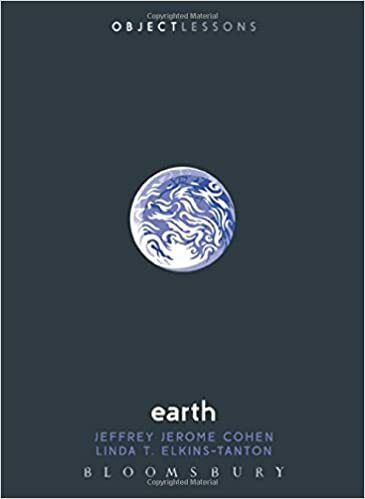 As well as reading 80 books this year, I'm also trying to read more non-fiction which is a bit of a struggle as I'd much rather just watch a documentary than read a non-fiction book but I'm trying! What do you think of these gorgeous floating bookshelves? Have you bought anything from RedCandy? I have always had problems trying to get to sleep, even as a baby and it's just contained into adulthood *yay*. Thankfully I have found numerous apps, techniques and products to help me get to sleep such as breathing meditation apps, yoga or stretches before bed and having a lush bath to unwind all help. Speaking of Lush, they use essential oils so much in their products and you'll know if you've used any Lush product, that they are so heavenly scented and are perfect for pampering and relaxing. As well as using products that contain essential oils, they can be used on their own in various forms and techniques to help with numerous issues including restless sleep and being unable to unwind/destress. If you want to find out more about essential oils in general and how they can be added to products to make your own beauty products then check out my previous essential oils post. They are so many essential oils out there that can be used for anything from relieving joint pain, to help with skin conditions, that can be used to make DIY beauty products or to help with sinus problems and congestion but this post is going to focus on using essential oils as sleep aids as that is the main way I use them on a weekly basis. Whenever I write about candles, relaxation or pampering of any sort, I always mention lavender as it is the main scent that instantly relaxes and calms me. I've always loved lavender and lavender essential oils are perfect for helping me get to sleep. The way I use this oil is to dispense up to ten drops (or more if I want it to be very strong) onto a cotton pad which I place on my bedside table so I can smell it throughout the night. Every time I do this, I always have a better nights sleep and who wouldn't smelling lavender for hours! Alternatively you could apply a few drops to a tissue under your pillow or a very small amount behind you ears, temples or neck - you can also do this with peppermint oil if you have a cold! I also use lavender essential oils in my bath, along with whatever bath bomb, bubble bar or bath oil I'm using to add to the product and make the whole bathroom smell of lavender for hours which is a always a good thing! I add a few drops to my bath and it helps so much or if you don't have this oil, you could use the Lush Twilight Bath Bomb which is lavender and malt heavy so it's amazing to use before bed. Do you use essential oils? Do you have any sleep aid products or techniques? 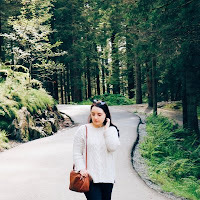 I used to think that autumn was my favourite season but while taking these spring OOTD photos and cooking on a petrol stove outside with the sun shining and blue skies in the evening, I think I'm going to change my mind and say that spring is my favourite season! The lighter evenings, tress in bloom, birds singing and *slightly* warmer weather is making me feel really content! The super lovely people at Johnny Loves Rosie must be loving the spring vibes too as they sent me a gorgeous *Johnny Loves Rosie Occassion Rose Gold Belt (£18) in the size Medium which is suitable for 30 inch waists but the chain allows it to be adjustable by up to 10 inches so I had it on the tightest length otherwise it looked a little odd being loose but it also means that you don't have to be very accurate with which size you choose. The rose gold shade is gorgeous and it's perfect for spring (although it looks more gold in these photos but it's a metallic rose gold shade). I love the rose gold, grey and black combination and to be honest it's as colourful as my choices get! I don't have a metal belt like this, it's surprisingly comfortable and lightweight. I thought it might feel quite restrictive but it isn't and you can adjust the size very easily! I have quite a jew jumper dresses and loose fitting dresses so a belt like this is perfect to add some definition and shape to a shapeless dress. What do you think of my spring OOTD? Have you bought anything from Johnny Loves Rosie? I have wanted to dye my hair pink for months so I thought I'd take the safer option of just bleaching and dip dying the ends of my hair rather than ruining all of my hair at once! I've already tried the new Loreal Colorista Semi-Permanent Dye and I loved it but I have heard great things about Crazy Color so I was very excited when a couple of pretty pink shades arrived in the post to test out! Just a quick note, I did bleach the ends of my hair, to find out more about that process of bleaching then check out my previous hair dye post. I think the lighter your hair, the better the colour will show up so for the lighter shades, I'm not the best candidate but here are my thoughts and the results I experienced - the first photo above is my hair without any semi-permanent. I was kindly sent the 'Pinkissimo' and the new 'Peachy Coral' shades from Crazy Color by Renbow. They both come in cute pink bottles, you get 100ml in each and I tend to use half a bottle for the ends of my hair so if you were using it all over then you'd need quite a few bottles! You don't need to mix this dye with peroxide but I have seen people use conditioner with so many semi-permanent dyes to make then lighter/pastel. The first dye I wanted to try out was the Pinkissimo shade as I'm loving having pink ends to my hair. The colour in the bottle is a very bright, almost metallic bubblegum pink shade! I applied it to damp hair which was easy, it isn't very runny so there isn't that much mess but it will stain clothing. I added about half a bottle to my hair and massaged it into my hair really well to make sure it was covered as much as possible although obviously when you rinse it out, there are always strands that aren't dyed. I left the dye on the ends in tin foil *so attractive* for about 30 minutes As you can see from the photo below, the Pinkissimo dye gave my hair such a lovely warm pink hue which is different the colour in the bottle but it's still pretty. I think if my hair was lighter it would be brighter and more true to the dye colour but I didn't want to bleach my ends a third time (although I probably will at some point). I did go over it on dry hair to make the colour more intense and it worked really well! Overall rating: ★★★★☆, 4/5. The dye lasted on the ends of my hair for about three to four washes so it's great if you are like me and you want to change up your hair colour often and it didn't leave a stain in my hair which is something I was concerned about but it fully washed out. This is one of their newer shades! I knew when I received it that it probably wouldn't show up in my hair as well as the dark Pinkissimo shade as my hair isn't platinum blonde at the ends but hopefully you can see from the photo below that it did add a slightly peachy hint to my hair although my camera is washing it out a bit. The peachy shade was almost completely washed out in one wash as there was only a small amount of colour in my hair. I think the Peachy Coral shade would be better for those with hair that is much lighter than mine as it would definitely show up better. Although it was just as easy to use and rinse out as the Pinkissimo shade. Overall rating: ★★★☆☆, 3/5. Overall, I love how incredibly quick and easy these semi-permanent dyes are to apply, develop and rinse out - it's very fuss free to switch up your colour! The Pinkissimo is my favourite of the two as the pigmentation was better on my hair but they both apply very easily and with minimal mess. They are one of the cheapest semi-permanent dyes out there and I think they're well worth a go. They make so many shades and I now have my eye on the graphite and lavender shades! What do you think of these shades? Have you tried Crazy Color or any other semi-permanent dye? I have been wanting to post about home, interior and redecorating for a while on my blog and as we are having the kitchen completely redesigned (as I'm typing this, the builders are here drilling and a wall has already been knocked down) I thought it would be a great time to redecorate the living room's feature wall and I will be sharing photos of the kitchen when it's done later this month as we're using this gorgeous wallpaper again in there too. When it comes to home decor and interior design, I am definitely a fan of natural tones mixed with metallics, metal and natural textures as well as minimalist design/styles so this wallpaper is perfect. I used the handy calculator on the Inspired Wallpaper website to calculate how many rolls would be needed for this small feature wall as well as the feature wall in the kitchen and it came out as five rolls - it's such a useful tool as I wouldn't have known how many rolls to ask for otherwise. This 'Florence Bracken' design comes in a couple of colour combinations including 'natural/white' and the 'grey/pearl' which is the one we chose. I don't think it's showing up as well as it looks in real life but the lighter background colour of the wallpaper, the 'pearl' shade is just gorgeous; it looks almost like mother of pearl as it's so metallic and iridescent in a way. I love the combination of the grey floral design and shiny, almost metallic looking lighter background shade. We also painted the walls to match the paper, we used 'goose down' from Dulux which is a light/medium matte grey shade that looks so nice and clean looking next to the paper. I adore grey and natural tones! I love how the living room looks now especially as we have a lot of solid oak side tables and the warm toned oak and cool grey paper/walls looks so timeless and clean together, in my opinion anyway! The wall paper was so easy and quick to put up and usually with patterned paper, it can be difficult to match up the design but this was very simple. I would say that in total, it took an hour or so to paste, cut and put up the wallpaper and I couldn't be happier with the end result, particularly when the beautiful spring sunshine hits the paper and the pearly background shines in response. What do you think of the wallpaper? Have you visited the Inspired Wallpaper website? I love candles, they make any room cosy, homely and subtly scented but when the warmer months come around, I don't tend to use them as much and that's where diffusers come in. Most diffusers are really disappointing, either they look cheap, they are so subtly scented that they don't give off any scent or they only last for a couple of weeks. I was very kindly sent the *Pairfum Large Reed Diffuser (£37.50) in the 'Innocent Vanilla' scent. The diffuser contains a whopping 250ml of fragrance which is composed of natural and organic essential oils that are non-toxic, non-flammable and non-carcinogenic - I didn't know that fragrances in diffusers could be considered as carcinogens. The perfume oil in the diffuser is non-VOC which is safer to use and VOC oils are not healthy for the lungs and they deplete the ozone layer so this one is much safer to use and better for the environment as it is contains a non-VOC fragrance oil. I love the bell shape bottle and the simple design of the diffuser generally, especially the black reeds! The box is also gorgeous, it looks like a fancy french champagne bottle box so it would make a fantastic and luxe gift for anyone. Both the box and the diffuser look so chic, simple and elegant and it would look great with any decor. The scent is equally as gorgeous, it isn't an overly sweet, overpowering or an old fashioned vanilla scent or artificial. The scent to me is very natural, creamy and sweet, it's the perfect vanilla scent. You can change the intensity of the scent depending on how many reeds you use, it comes with ten and I am using five. The more reeds you use and how often you turn them, the stronger the fragrance will be. I've been using the lovely diffuser in the living room as we are currently going through a complete kitchen redesign so there is concrete, plaster and sawdust everywhere which smells so stale, musky and not very pleasant but this diffuser is definitely helping to make the living room and kitchen more pleasant! It's claimed that the diffuser will last between 6 to 9 months which sounds fantastic; I haven't used it that long yet but so far it's working really effectively and smells heavenly as well as looking very chic especially compared to the cheap diffusers I'm used to. Overall, this eco-friendly and safe diffuser is not only chic and elegant in design but it smells divine too and it would make a wonderful gift for anyone as it is looks so expensive and luxurious. The scent is perfect, the scent throw is impressive and even though it's a little pricy, I think it is definitely worth it even just because it is far safer to use compared to cheap diffusers but it has the benefit of being one of the best diffusers I've used! Also the box comes with a little detachable metal pin on it too. As always, if you want to see sneak peaks of my blogger mail or products in use then make sure you follow me on Instagram. Overall rating: ★★★★★, 5/5. What do you think of this diffuser? Have you ever thought about the safety, health implications or environmental effect of the diffusers you use? I started learning to drive in May last year and since then I have worn sunglasses more than I have for the rest of my life! I wear my contact lenses and sunglasses pretty much every time I drive so a good, durable pair that are very comfortable is so important in terms of driving safely and comfortably. I have one pair of designer sunglasses, my Marc by Marc Jacobs sunglasses and a pair from Polaroid, both of which I love but these new ones from SmartBuyGlasses are perfect! 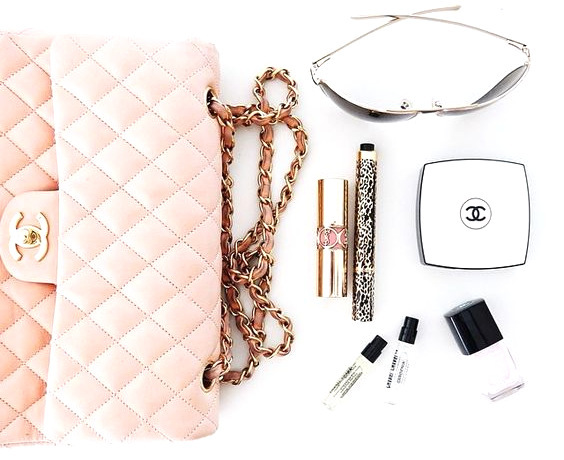 They are an established online sunglasses, glasses and contact lens retailer for the past ten years featuring designer sunglasses with brands such as Rayban, Marc by Marc Jacobs, Tom Ford, Prada and many more. I was kindly sent my choice of these *Prada Sunglasses (sadly they aren't available anymore online) and they arrived really quickly! I chose the Prada option as I loved the shape of them, the shape is similar to others I have and I know it will suit me. I also love the 'havana' frame colour which to me is a subtle tortoise shell design; the lens is grey. This style is from 2015 which is why they were cheaper than the RRP. The sunglasses come with a Prada box, cloth, manufacturers information booklet and glasses case. I know what you're thinking...how do you know that they are genuine? On the website they state that authenticity is guaranteed and I have been online reading so many articles about how to check if your Prada sunglasses are genuine and I have checked the style, serial numbers and other points they say to look out for on mine and my sunglasses are definitely genuine. I have been wearing these sunglasses instead of my others when I drive and they are fantastic! I love the fit (mine are a 53 size, whatever that means) and they are perfect as well as being so so comfortable. I have been wearing glasses since I was about 15 and I always tend to get a headache with them but these don't really give me a headache or any discomfort. Also the sunglasses feel really durable and well made so I think they are going to last for a while which is great as I do tend to drop my sunglasses all of the time...oops. Considering I wasn't able to try them on before hand, I'm so happy with the style, design and the fit which seems to be made to measure for me! I would definitely recommend these sunglasses, especially if you are like me and you wear them very often as I do, as they are so comfortable. I'm also really happy with the cute box they came in and the case too which I'll be keeping in the car to protect my sunglasses. There are so many designer sunglasses to choose from on the SmartBuyGlasses website; there are quite a few pairs that are on my wish list including the gorgeous Rayban Erika sunglasses which I have wanted for so long! Overall rating: ★★★★★, 5/5. What do you think of these sunglasses? Have you bought any Prada or designer sunglasses?